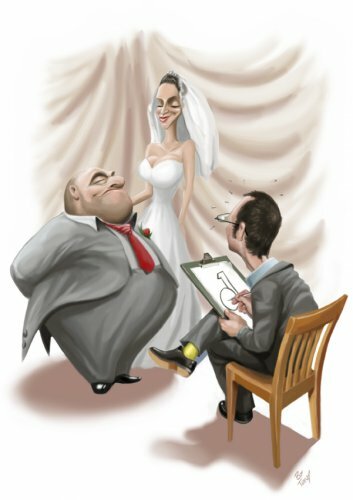 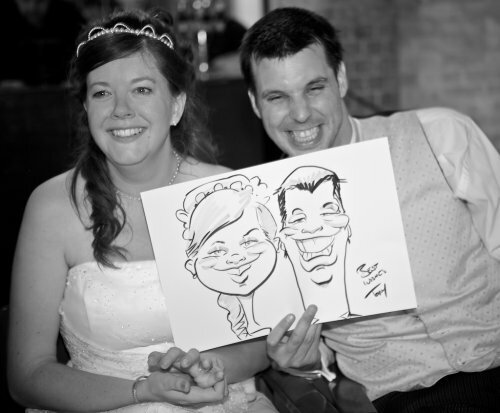 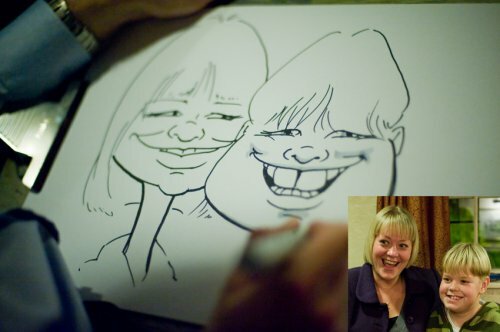 I offer two unique styles of caricature tailored to fit the occasion. 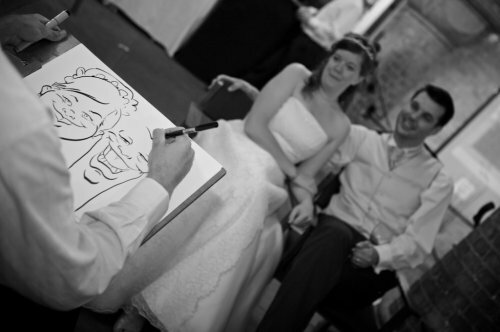 I can mix n' mingle amongst your guests with a drawing board using pens and markers or I can set up an easel with a banner sign showing people what I'm doing. 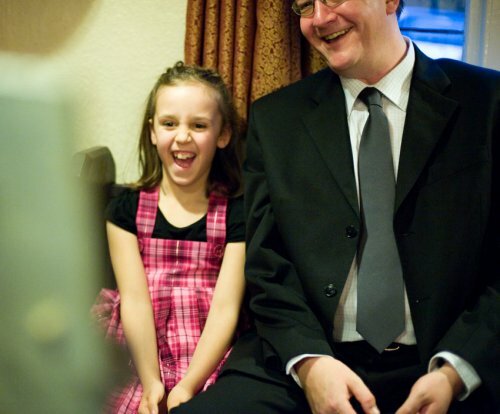 They then come and sit for me. 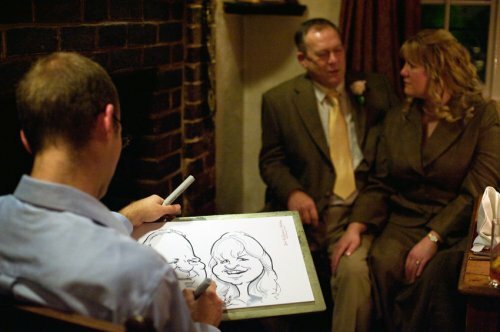 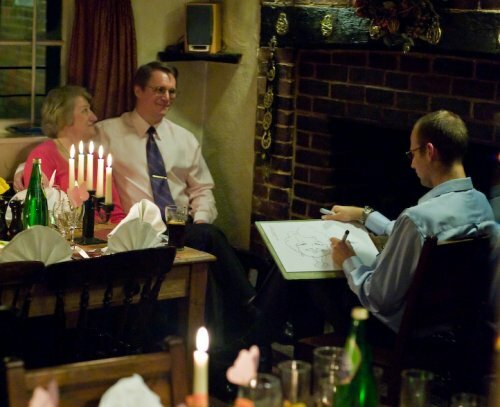 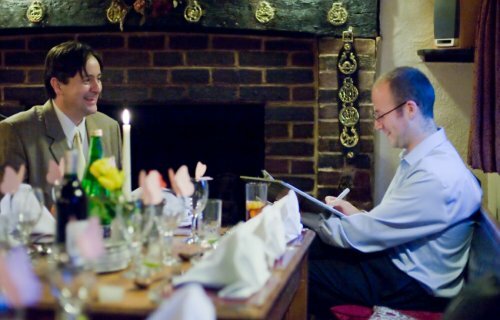 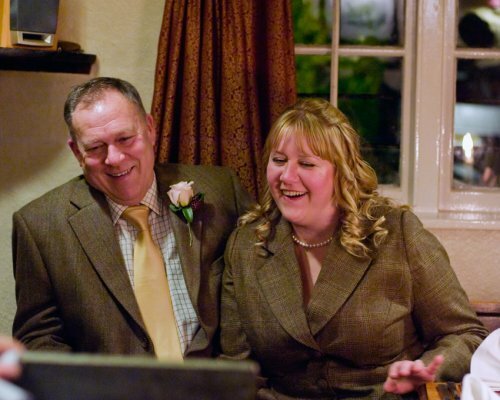 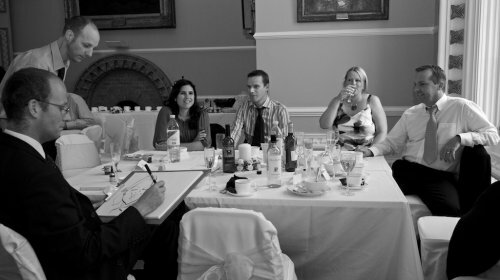 Both work equally well so it's up to you what would suit the occasion and venue best. 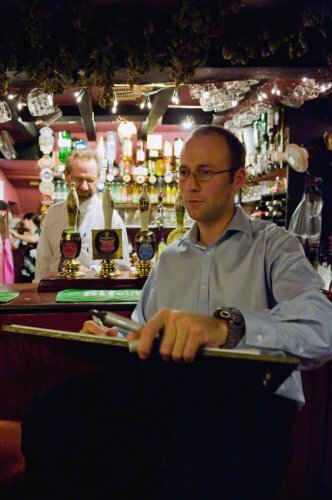 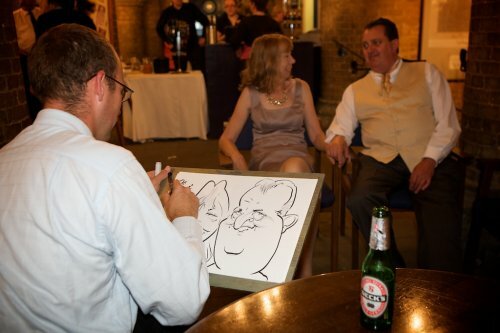 I can also draw directly onto a computer using a graphics tablet, this can then be linked to the venues flat screens. 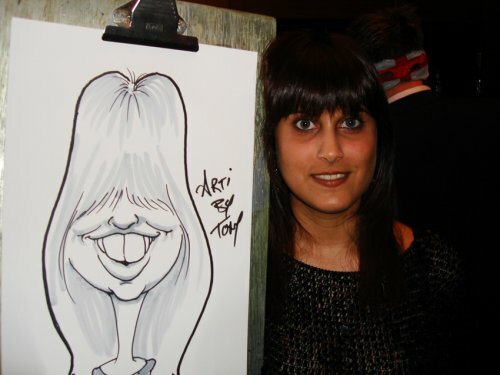 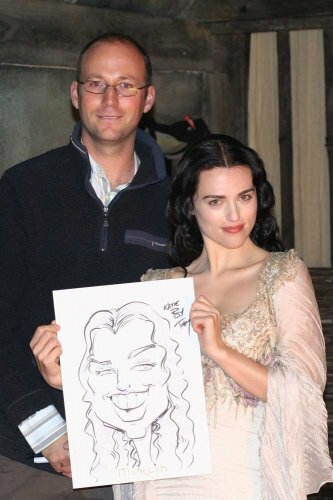 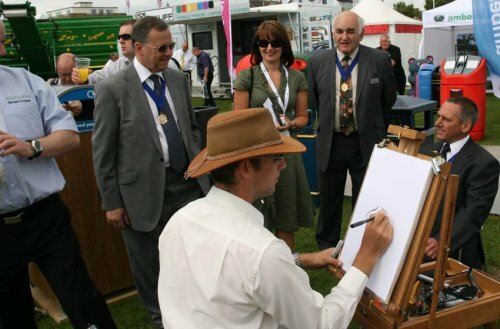 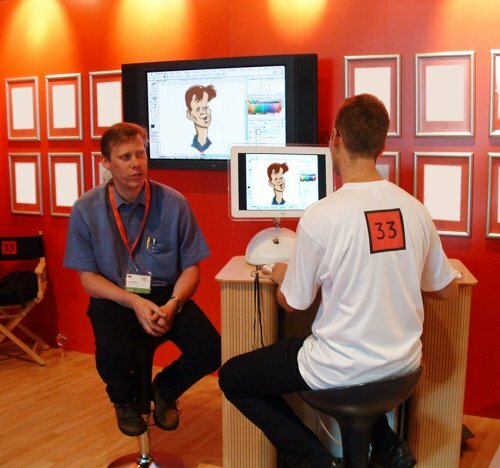 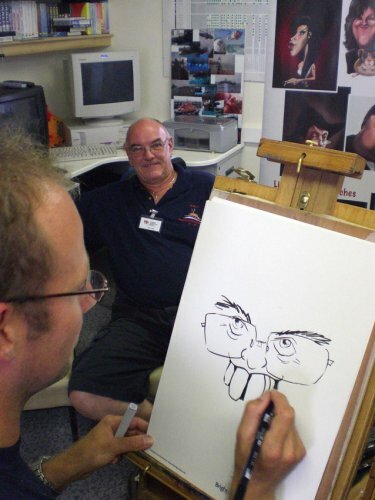 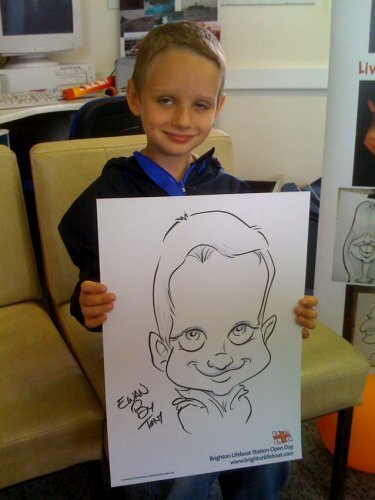 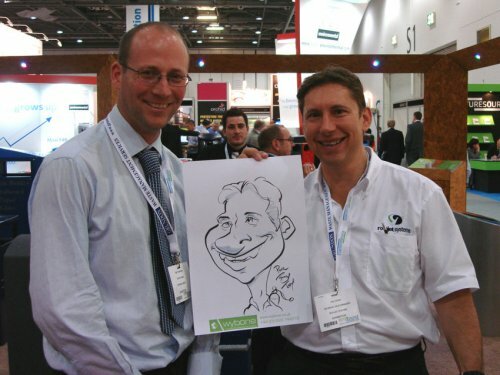 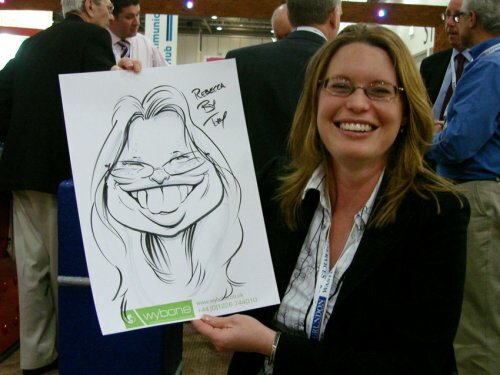 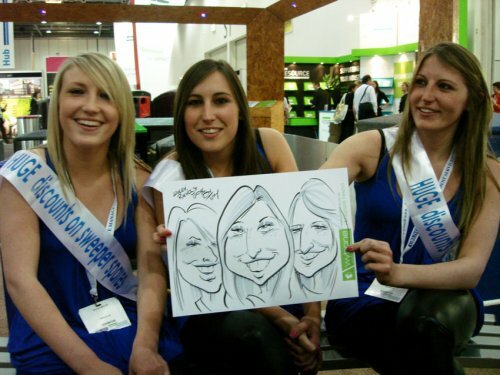 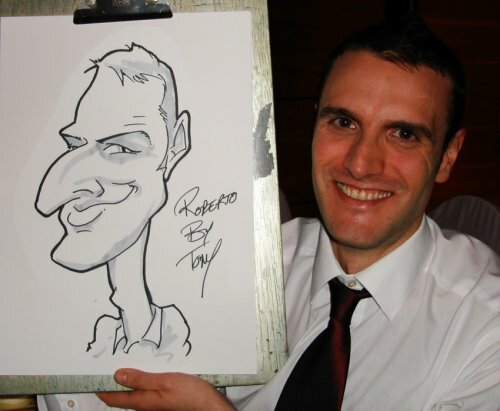 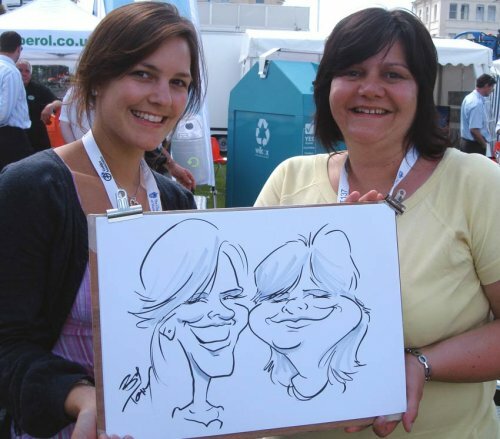 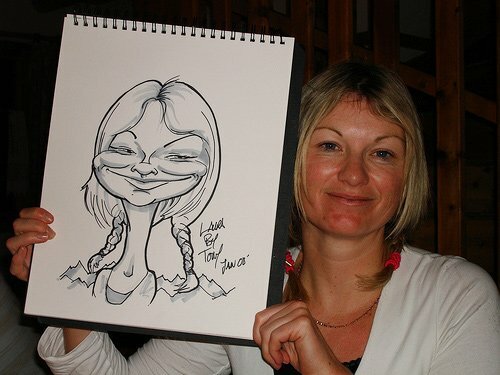 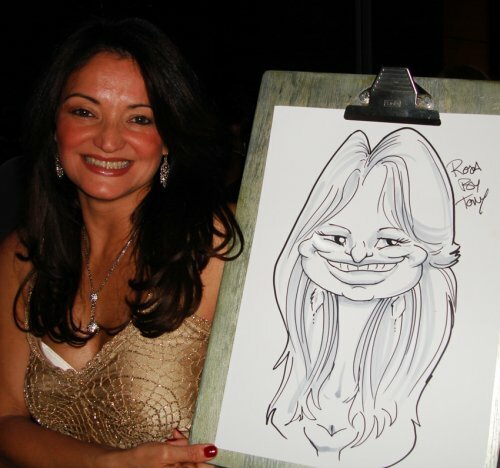 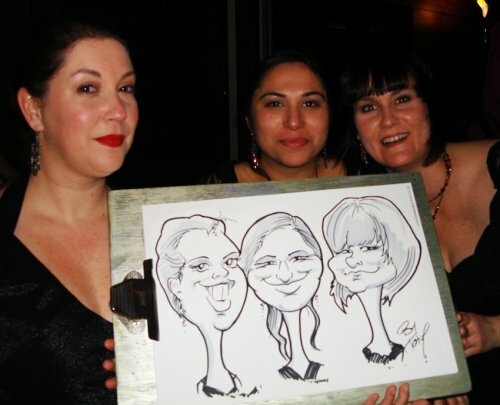 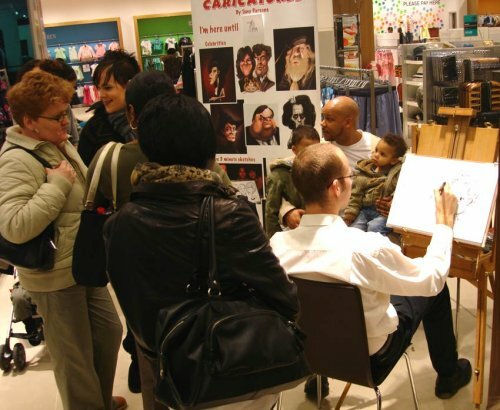 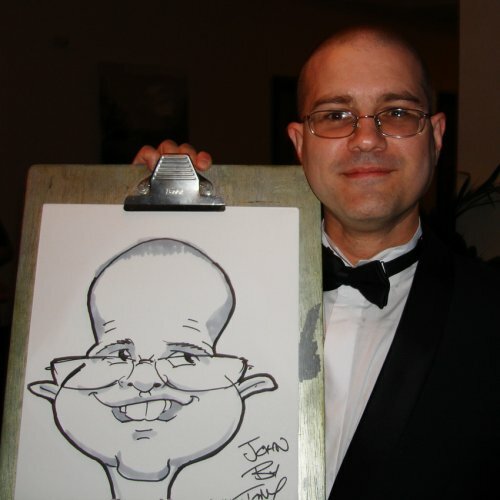 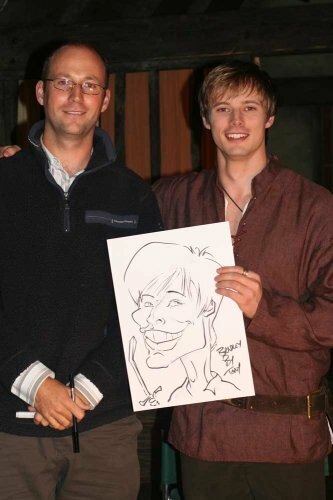 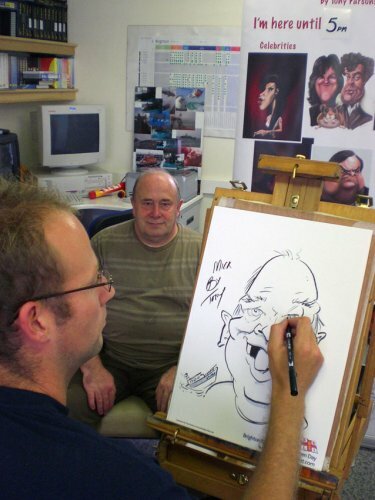 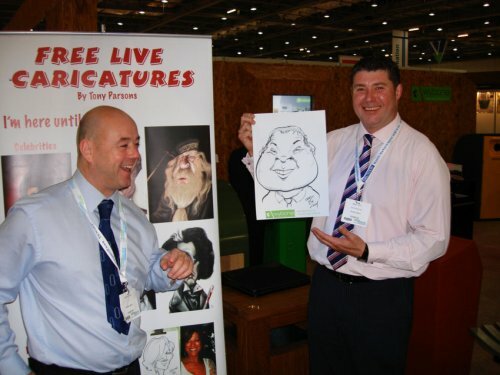 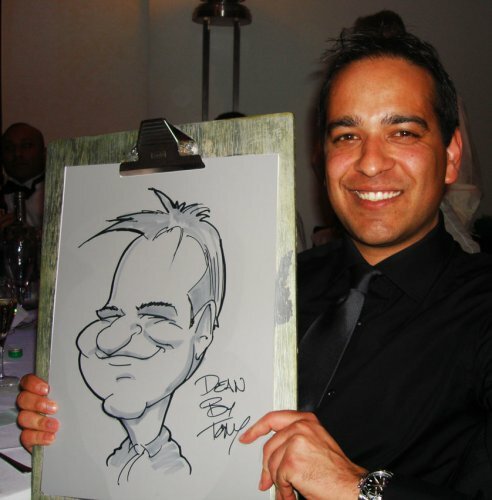 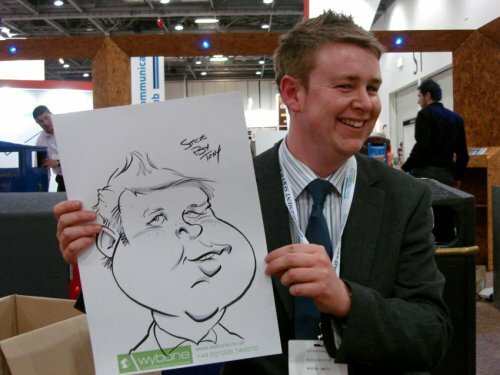 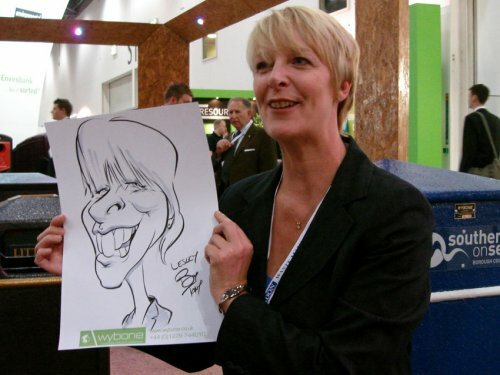 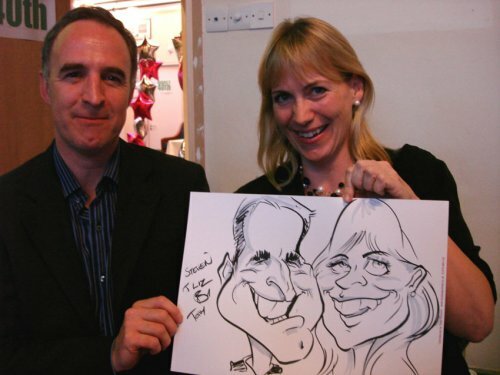 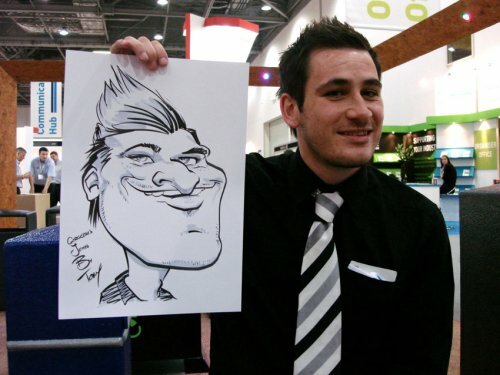 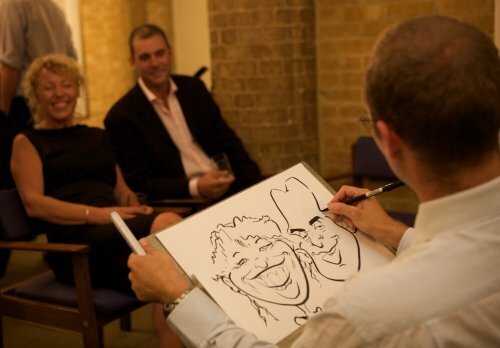 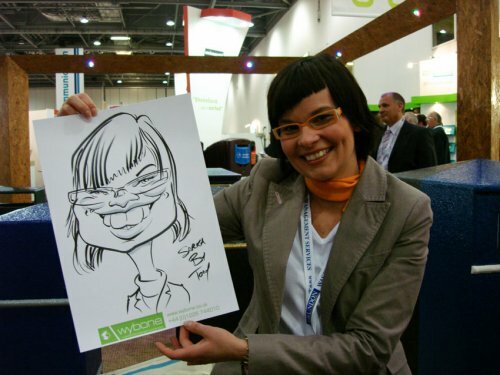 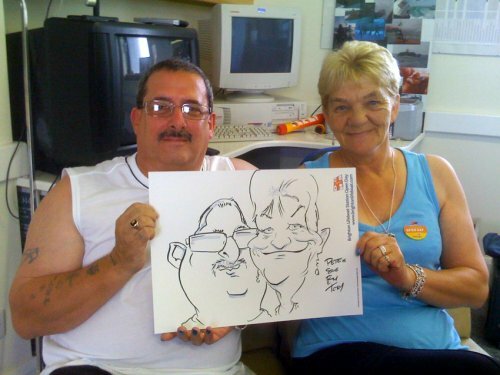 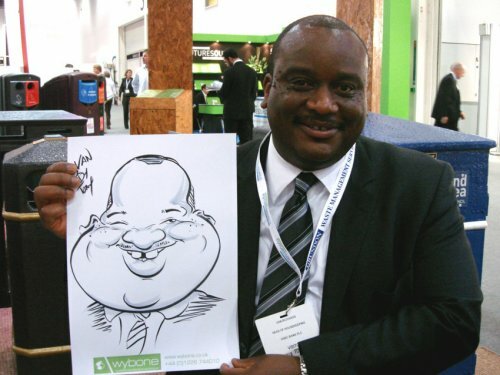 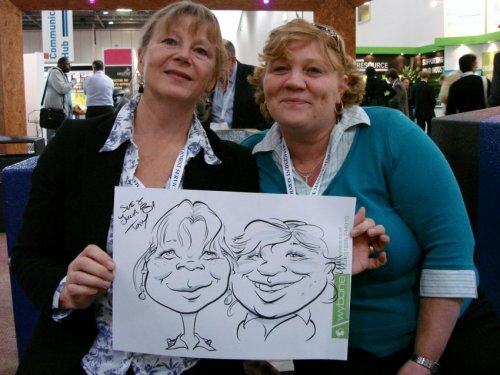 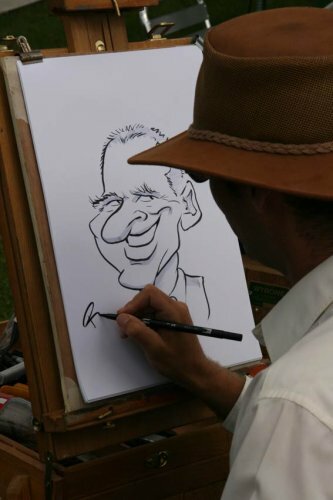 Excellent for caricaturing at conferences and exhibitions! 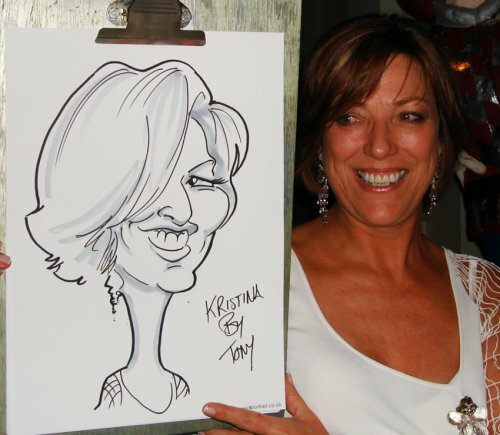 Prices depend on how far I have to travel and what's required - please call for a quote. 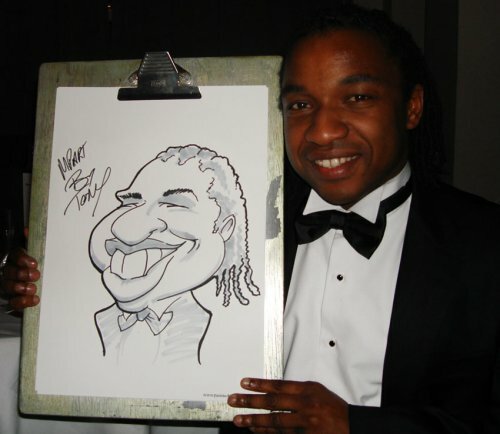 I generally perform for 3 hours at an event though we can negotiate if you wish me to stay for longer and I don't have another event to get to.